For this recipe you will find that I used maize meal, I find that by adding it to the mixture, the Fatcooks will not absorb as much oil. Note that you can either make the mixture runny by adding more milk so you can scoop it into the oil for frying or you can leave it thick and use your hands to shape it into a ball. With this recipe I made the mixture slightly thin. But it’s really up to you what you prefer😃. 1. In a large saucepan pour about 2 mugs of vegetable oil and place on medium heat. 2.In a medium sized bowl ,mix all dry ingredients together then pour milk slowly into mixture then add egg and mix well. 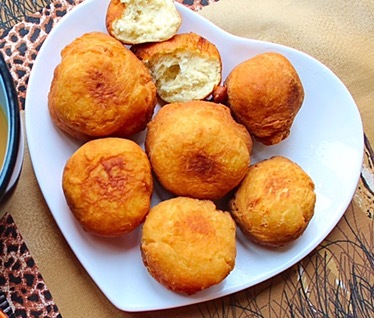 3.When oil has heated enough,rub hands with dry flour and scoop a tbsp and a half of the mixture.Roll it into a nice smooth ball and pop in the oil,(reduce heat so that they do not brown outside before they are thoroughly cooked inside) repeat the process till you finish ,making sure you turn the fat cooks so that they don’t burn. *Ensure that the balls are small enough so that they are easy to cook through. They should be golden brown and still nicely shaped when you are done. 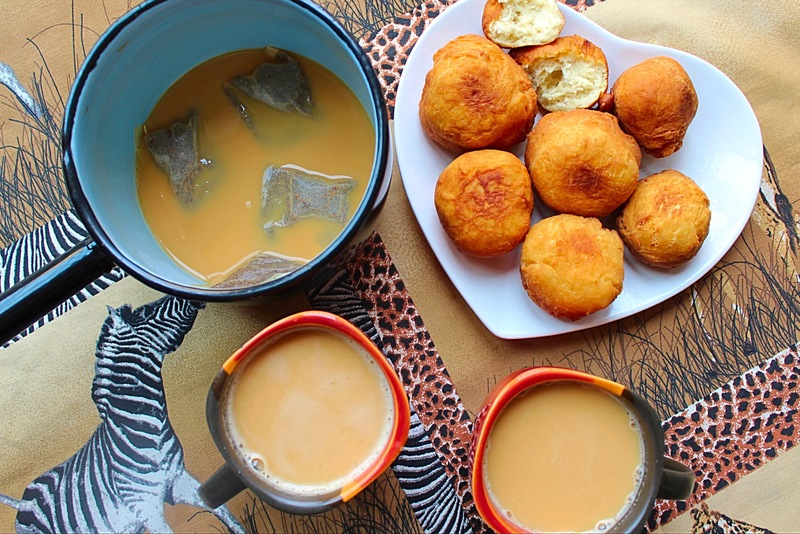 Enjoy with a cup of tea just the way we do it in Zimbabwe. We brew our tea in a pot on the hob/stove /fire for a few minutes. It just tastes so much blissful. Surely home is always best🇿🇼. Next Next post: Picnic Ideas for Summer 2016! Just followed your instructions now and they came out great and taste amazing , I used to always strangle with making sure they are cooked inside . Thank you . Love the fat cooks and your recipe is the best because they are not oily at all. My son loves them too and can’t stop talking about them to his friends.